Painting Tools. You Need The Right Tools For The Job at Hand. 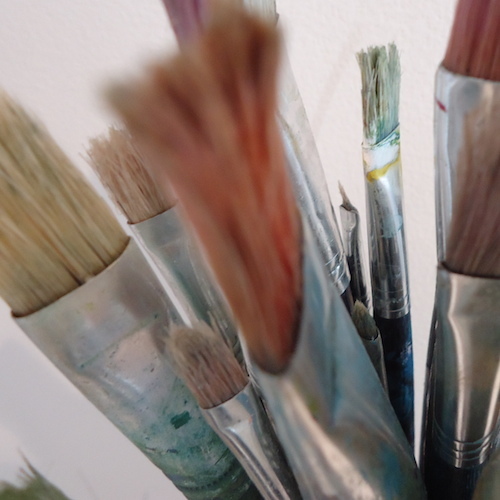 Learn which painting tools you need, and which you don't. The concept of what a painting is has changed over the years. As a result, our tools have also changed. Traditionally, your painting tools were brushes, easels, palettes, the odd palette knife, paints and of course your surface. These days, almost anything goes when it comes to painting implements. (Some of us are bigger tools than others :)! However, there are so many other processes involved with making paintings. That means of course, that there are literally hundreds of painting tools. A trip through any art gallery will find half of them! (Hint: they'll be the ones saying "juxtaposed" and other big arty words). Seriously though, let's touch on a couple of other painting tools. 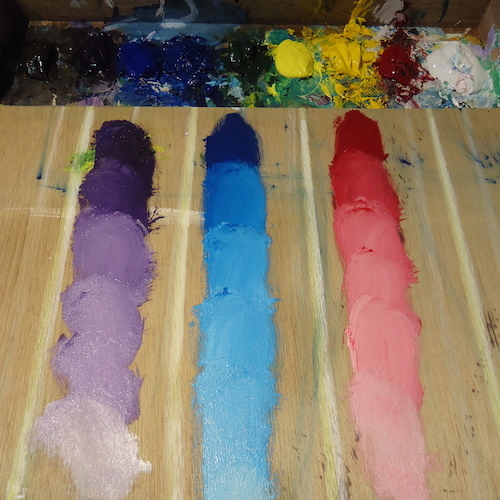 They can be used for dishing out paint, mixing colour or even applying paint to your canvas. There are some indescribably beautiful paintings that are done entirely with palette knife , and handled well, they are a brilliant tool. They can also be used for building texture to paint over. 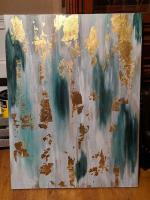 Plaster, binder medium and a palette knife are excellent painting tools for this purpose. Don't forget, a palette knife can also be used to scratch, or otherwise mark already cured or partially cured paint. This is used to steady your arm/hand when working over wet paint. It's basically a stick with a padded ball on the end. It helps you avoid touching the surface accidentally, keeping your arm out of the paint - and preventing unwanted smearing. These are painting tools that have crept into arts practise over the last few years. The airbrush was once frowned upon, as was graffiti art. Examples of these styles of art are now hanging in major galleries all over the world. Illustrators often use an airbrush to create indistinct backgrounds. The pressure can be turned down so that small flecks of paint are pushed out of the airbrush, rather than a fine mist. This creates a lovely gritty feel. The same effect can be achieved with aerosols and spray bottles. Although, the pigment, when used in spray bottles, needs to be quite thin. Spray bottles are fantastic for creating the effect known as "cissing". 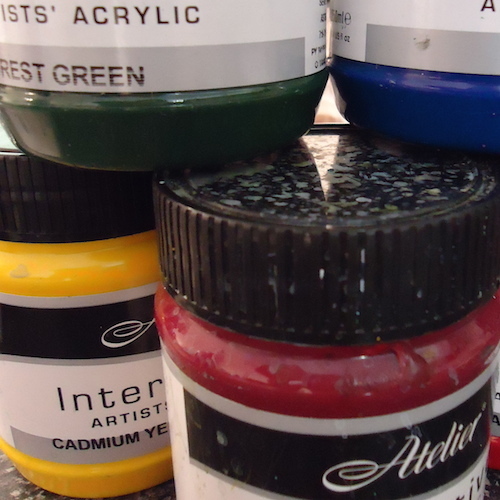 This is generally associated with enamels and oil paints, it can be done with acrylics. Cissing involves opening up holes in acrylic paint, by spreading droplets of water onto the damp surface. 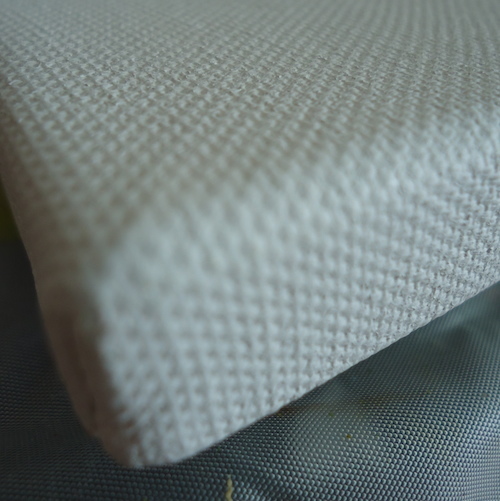 A dry rag pulls up the wetter paint, leaving a lovely "holey" finish. 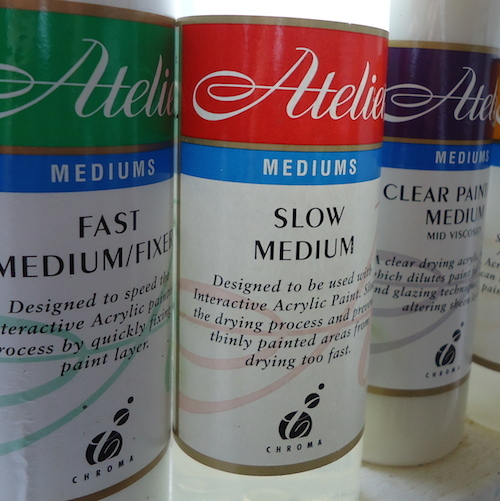 Great for faux finish techniques such as marbling. Because this website is primarily about acrylic painting, we will leave out tools such as welders, grinders and large industrial machines. Having said that, a paintball gun is a valid option, and is actually used by some. Some artists have been known to fill empty eggs with colour and hurl them at the surface. As we said, almost anything goes these days. And truly, you are only limited by your imagination. (And the resilience of your surface). Chalk is a great painting tool when working with acrylics. 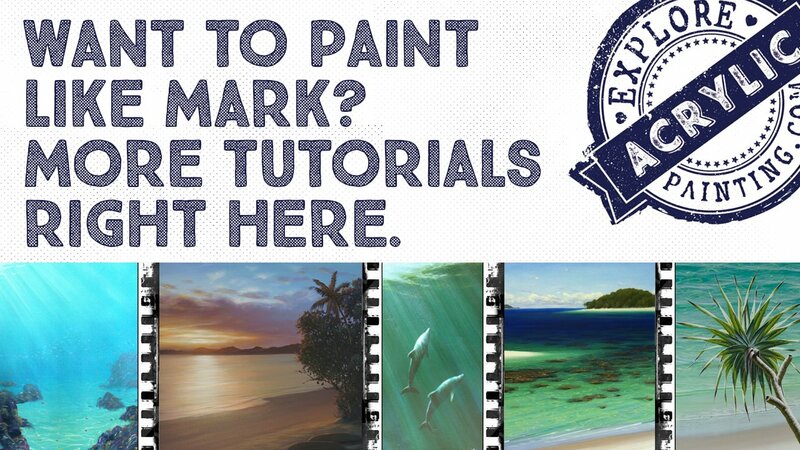 It's very easy to pick up a piece of chalk and mark an area of your painting. You can do this for many reasons. One is to remind you to come back and touch something up. Another is to rough in highlights. Another strategy is to get an idea about changing the composition of your painting, by moving the elements around in chalk, prior to repainting. It's non-committal, as a wipe with a damp cloth will remove it, or it will disappear as part of the painting process. While a very simple tool, it has helped me solve hundreds of problems. I know we've covered mediums on other pages. But I love them. So I've selected binder medium for a special mention here, purely because it allows you to "glue" other objects into your work. Painting over text appropriated from books and magazines is a lovely approach. As a beginner you can only be guided. But as you become more adept, you will find your own way; and discard some of this advice (possibly most of it!). 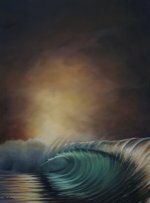 Your painting tools will start out as one thing, and will evolve as your painting journey continues. The best thing we can hope to do is take out some of the guesswork and some of the difficulties. Then you can do what is most important, which is to have fun! Choose the best paintbrushes for you. Explore some possibilities you may not have considered. Which is the best paint for you? Explore some of the characteristics & possibilities. Atelier Interactive Artists Acrylics - discover the versatility; the goodness, and fall in love all over again. Stretcher Bar. A Versatile Framing Option. To stretch or not to stretch? Some points to consider when looking at the stretcher bar option. Practicalities, ramifications and some other big words. 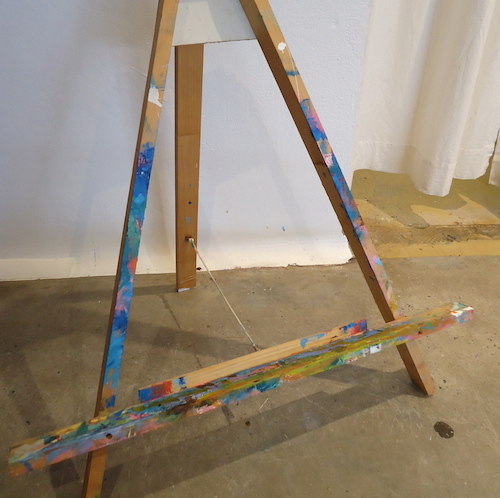 Explore some considerations when choosing a portable easel. Merely a painting surface? Or something to add dimension and interest? Let's explore. Atelier Free Flow. Go With The Flow And Be Free. (Sorry). Discover the incredible pigment loading and flow of this exciting new product. Jim Cobb. An Interview With The Legend Behind Chroma Paints. Sit in on half an hour with Jim. The founder, owner and Chief Paint Inventor behind Chroma Paints Australia. Atelier Unlocking Formula. You Need This Stuff. Find Out Why. Right Here, Right Now.